In my 25 years of professional practice, I’ve learned a great deal about the cycles of the planets and luminaries and how they are expressed in an individual’s chart. But there are cycles that affect us all, in a global way as well as personally. One such cycle is the opposition of Saturn and Uranus, two Titan planets with very different energies. 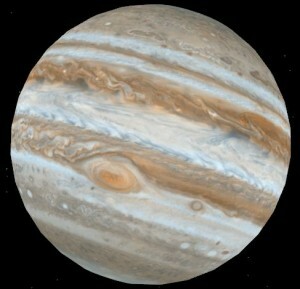 This particular event of Saturn and Uranus in opposition takes place 5 times between November of 2008 and July of 2010. Saturn is the planet of restraint, patience and self-discipline; it teaches us through experience and limitation. Uranus is the planet of freedom, unpredictability, change and revolution. These energies are polar opposites, and bring about huge changes. The last opposition was in 1965-1967, bringing great changes as “The Establishment” opposed “The Hippies”. Through music, politics and personal values, we all felt the effects of one system struggling against the other. It began November 3rd and 4th of 2008, with the election of the past and Saturn(John McCain) versus the possible future and Uranus (Obama). It represents the old and the new battling for supremacy. The old America versus the new America. Stand back and see it clearly, with the campaign for Obama focusing on CHANGE. This dance between Saturn and Uranus has 5 exact oppositions in two years, with the second being 2/5/09, the third 9/15/09, the fourth just happened 4/26/10, and the final will take place July 26th, 2010. World events reflect this dynamic, and most recently with the oil explosion and spill in the Gulf. The old versus the new, seen in another light. And yet, will it bring about the needed changes that are obviously being shown to us, or will we resist? In the final chapter in July, we will see if another world event is dialed in for us all to witness and question our values again. On a personal level, we can all look within and see where we need to fine tune ourselves. Whether it be to exercise the discipline it takes to move forward in a secure and methodical fashion, or, to release the past that binds us to old patterns and ways of behavior that no longer serves us. Take a look at yourself, honestly, and invest the energy it takes to make the most positive moves now for your future. The planets support these changes in all of us, so take a deep look.